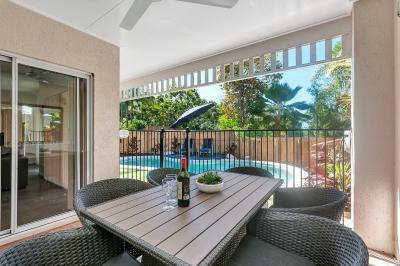 Lock in a great price for The Villas Palm Cove – rated 8.8 by recent guests! Pool was great. Friendly staff. Spacious apartment. 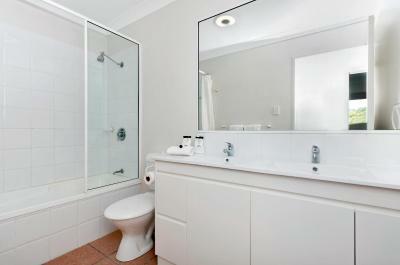 THE APARTMENT WAS VERY SPACIOUS AND COMFORTABLE WOULD DEFINITELY STAY THERE AGAIN. 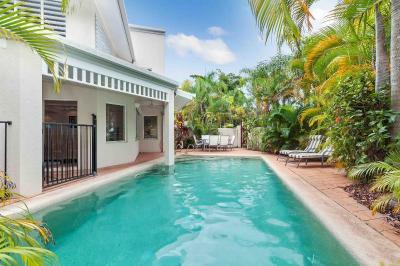 Great pool and BBQ area. Rooms are awesome had our own pool kids loved it. location is great walked into town each day. Found everyone to be very friendly. 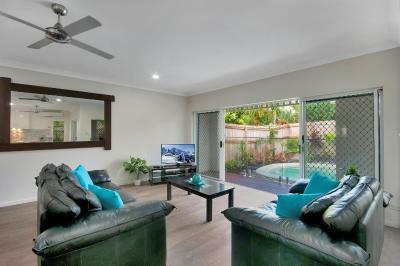 Spacious, well designed villa, nice and clean in ground pool. 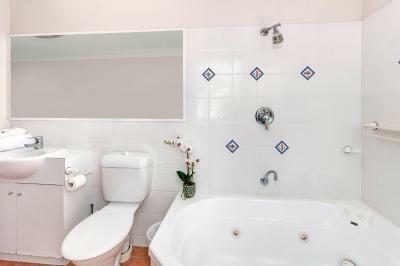 everything the manager Mr Train was very helpful and polite , booking our trips for us the accommodation was spotless if and when we go back we will be booking the villas again. Beautiful location, great staff and facilities were a 10/10. 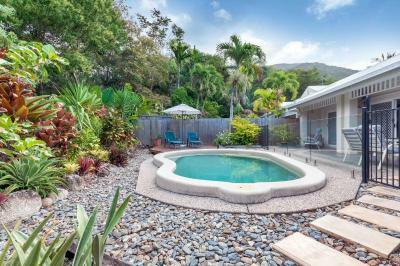 Private pool was spacious and clean, the communal pool was even better. Not crowded and big. A great place to bring family and young children. Our family had 3 villas booked for a 60th celebration and we really enjoyed our stay. The best place I have stayed. Wanted a quiet week for myself and I got that. The Apartment was big and the private swimming pool was beyond my expectations. The property will charge you some money after departure. I believe my case is AUD30+3tax which is total AUD 33. Not excellently know what the money for, but i believe it is about "cleaning fee". Better use cash for the deposit and get it back at departure. 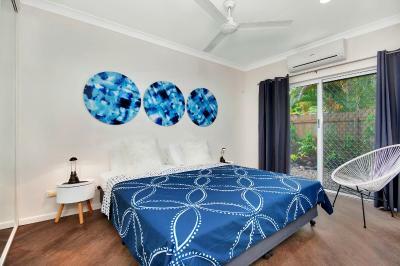 The Villas Palm Cove This rating is a reflection of how the property compares to the industry standard when it comes to price, facilities and services available. It's based on a self-evaluation by the property. Use this rating to help choose your stay! 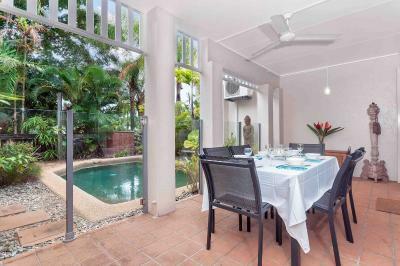 The Villas Palm Cove is a self-contained rated 4-star resort set among tropical gardens, only 8 minutes’ walk from Palm Cove Beach. 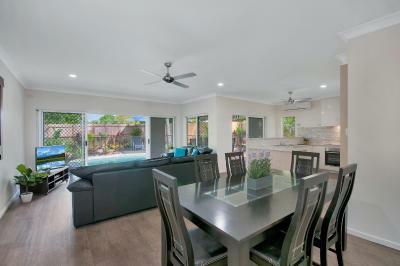 All air-conditioned villas offer free WiFi, a full kitchen and laundry facilities. 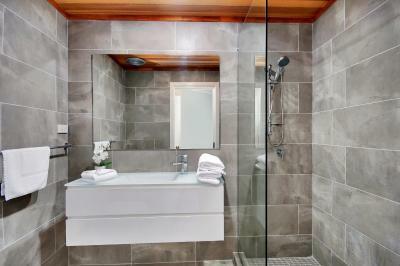 Some feature their own private pool and spa bath in the bathroom. 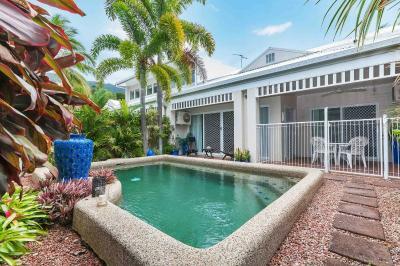 The Villas Palm Cove offers a choice of 1,2, 3 or 4-bedroom air-conditioned villa's. 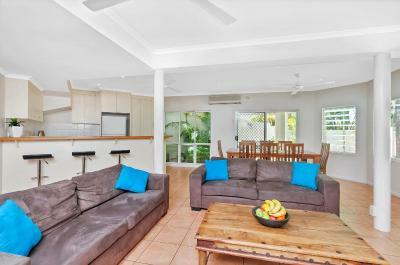 Each spacious and self-contained villa includes a fully-equipped kitchen, laundry, DVD player, satellite TV and a secure garage. 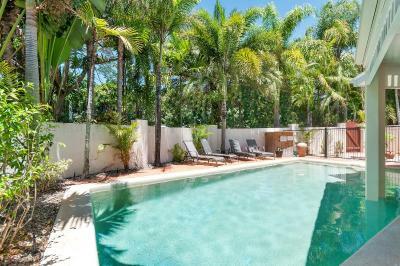 Guests can enjoy the 50 feet swimming pool and heated spa pool, or relax in the tropical gardens with covered barbecue area. High chairs are available for an additional charge of $5 per night. 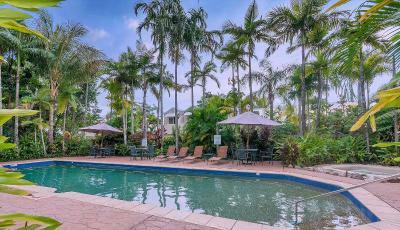 There are a variety of restaurants just 2,950 feet from the property. 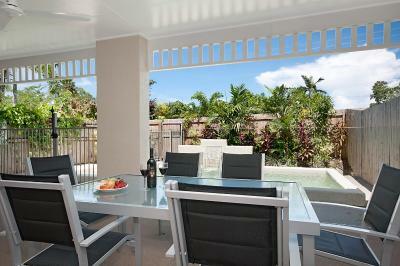 Guests receive discounts at local restaurants, which can also deliver food to the villas. 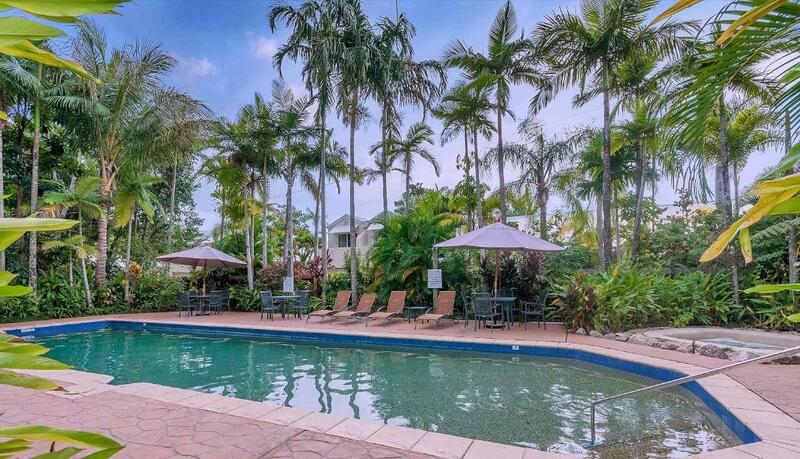 Palm Cove Country Club & Golf Course is a 5-minute drive away. 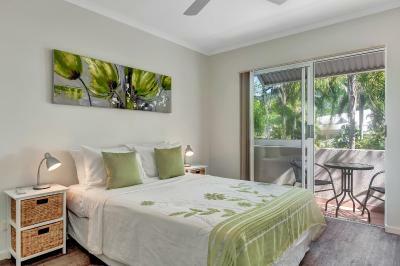 When would you like to stay at The Villas Palm Cove? 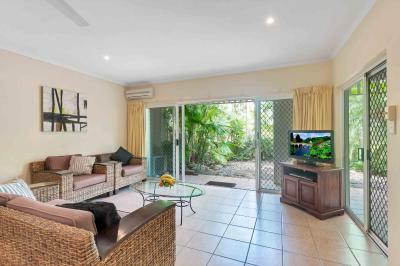 This air-conditioned villa features full kitchen and laundry facilities, a private patio and a spacious living room with flat-screen satellite TV and a DVD player. 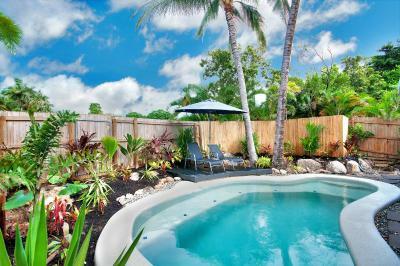 This air-conditioned villa features an outdoor entertaining area with a private swimming pool. 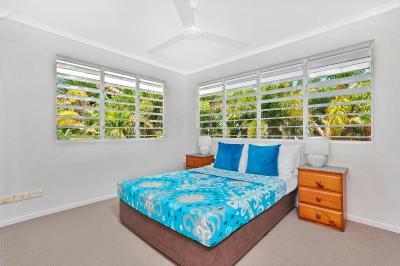 It includes a fully equipped kitchen, laundry facilities and a secure garage. 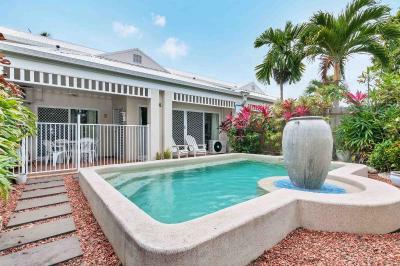 This split level, air-conditioned villa features an outdoor entertaining area with a private swimming pool. 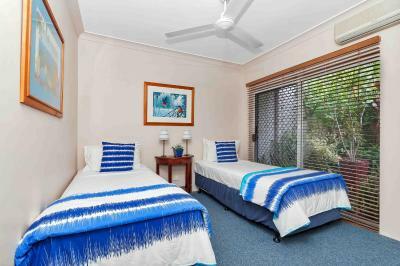 It includes a fully equipped kitchen, laundry facilities and a secure garage. 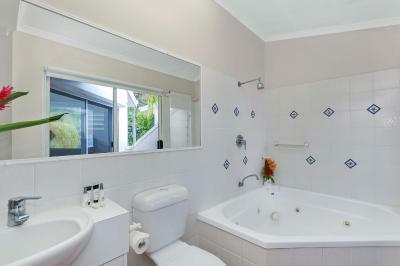 There are 3 bathrooms, 1 with a spa bath. 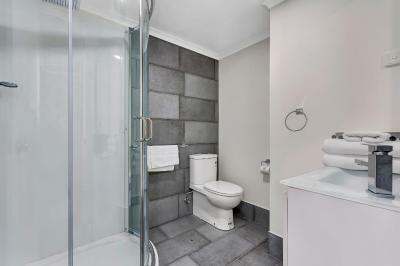 There is an additional toilet. 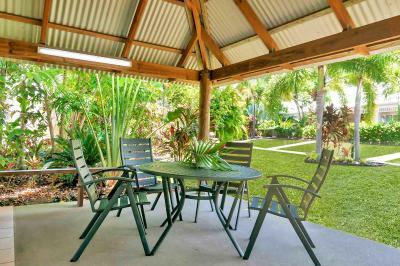 This air-conditioned villa features a private patio. 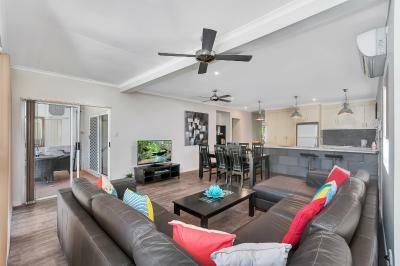 It also includes full kitchen, laundry facilities and a spacious living room with flat-screen satellite TV and a DVD player. 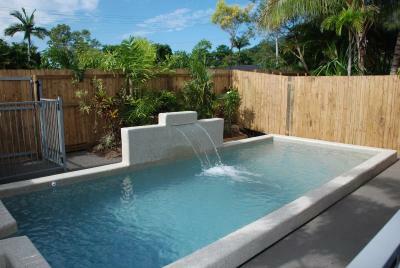 We are the only property in Palm Cove where you can have your own private secluded swimming pool. 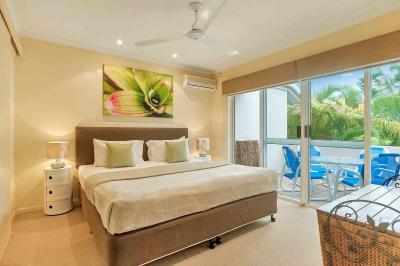 House Rules The Villas Palm Cove takes special requests – add in the next step! 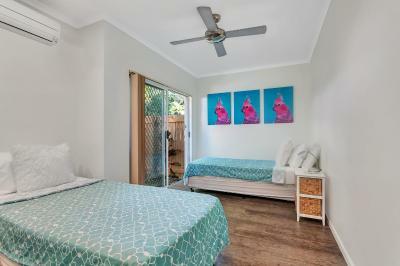 The Villas Palm Cove accepts these cards and reserves the right to temporarily hold an amount prior to arrival. 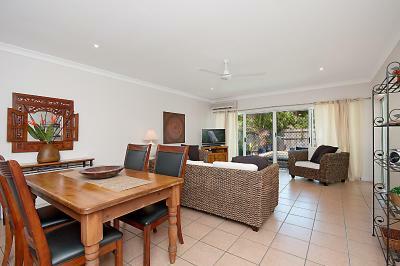 Please inform The Villas Palm Cove of your expected arrival time in advance. You can use the Special Requests box when booking, or contact the property directly using the contact details in your confirmation. Parking could be a little tricky depending on which villa you are in if you have a bigger car/4wd. Not beach front. 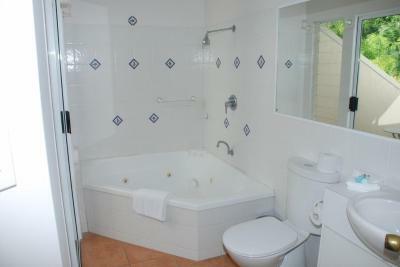 The villa was extremely roomy and private. Clean with all a family needs when on holiday. Private villa plunge pool was great. Staff helpful and friendly. Will definitely be back! A little old and needing rennovation. 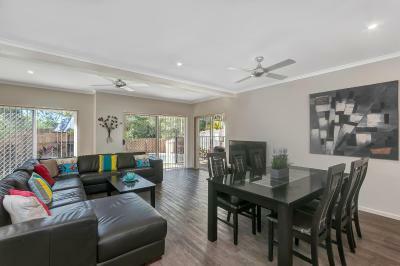 Comfortable and ideal for family. Gorgeous garden in the villas and pool set up was cosy and beautiful with lush gardens. RESORT MANAGER WAS FRIENDLY , APPROACHABLE ,AND HELPFUL. THE PRIVATE POOL WE HAD WAS GREAT. 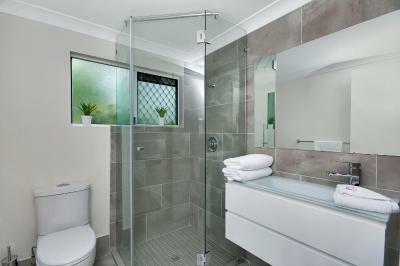 THE VILLA WAS SPACIOUS WITH ALL AMENITIES. 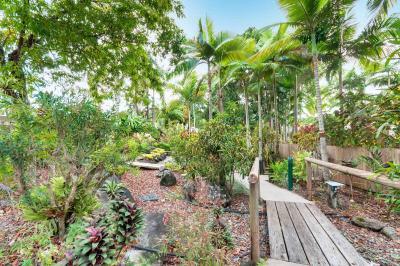 GREAT POSITION TO WALK DOWN TO PALM COVE VILLAGE. Great location and excellent value.